The first book in the Northern Lights trilogy. 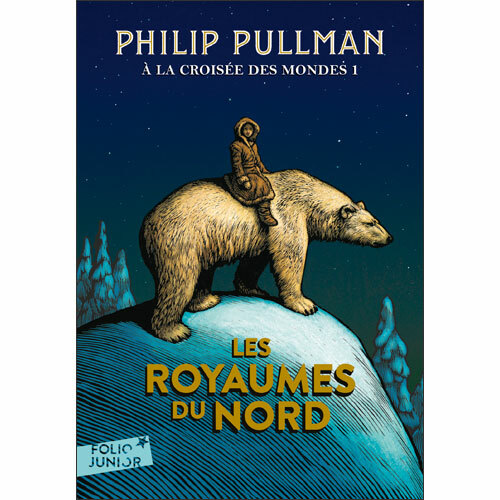 Set in a parallel universe, it tells the story of the journey of Lyra Belacqua to the Arctic in search of her missing friend, Roger Parslow, and her imprisoned uncle, Lord Asriel, who has been conducting experiments with a mysterious substance known as "Dust". 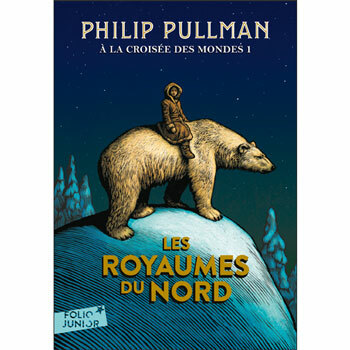 A la croisée des mondes (1) - Les royaumes du Nord is written entirely in French as it is aimed at native speakers. 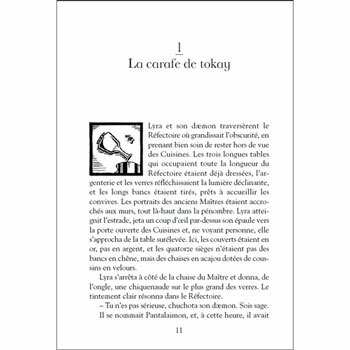 It would suit a fluent French reader age 11+.